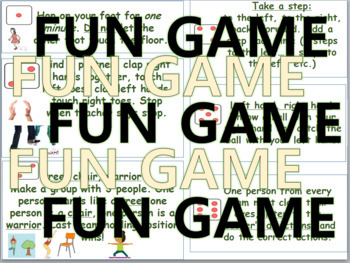 Sit your students in a circle and preferably have a big dice; let your students take turn rolling. The activity corresponding to the number it lands on must be done. There is a winner for every round, you can give a point to their 'teams' or individually. It's a fun break from textbooks and note-taking. Have fun!